Published by Robert Hale in hardback and e-book format. Available in Large Print from Magna. 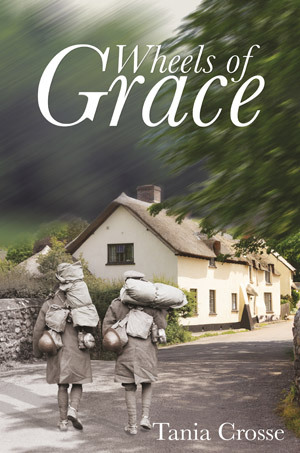 Grace Dannings has lived her entire young life in the safe and idyllic Dartmoor village of Walkhampton. Working as a maid at a farm within sight of her own humble family home, her only wish is that nothing will ever change in her contented, happy existence. But it is May 1914 and the village is alive with talk of the situation in Europe. When war breaks out, its ugly tentacles reach everyone in the village, leaving no one untouched among Grace's family, neighbours and friends. Grace sees it as her duty to step into the breach wherever she is needed, beginning with the wheelwrights' at the heart of the village. Grappling with her own anguish and loss, she later discovers supreme fulfilment in a new vocation, but at what personal cost? A poignant, sensitive and intensely moving account of one village's war and the endurance of those who wait at home for news of their loved ones.